These days, there’s a lot of competition for any given job opening. When you send in your resume, you’re likely one of dozens, maybe even hundreds of people vying for the same gig. Obviously, the recruiter’s got a pretty fully plate—an awful lot of resumes to sift through before setting up interviews. What this means is that, unfortunately, most recruiters don’t need much reason to throw a resume in the trash can; it makes their job that much easier. So, if there’s anything that’s off about your document, well, a recruiter might very well seize the excuse to make their workload a little bit lighter—which means, alas, that your own prospects are cast aside. As such, it’s important to know the main reasons why resumes get tossed out before they’re even read. Here are some of the most common culprits. Avoid them—and if you’re not sure how, reach out to the Grammar Chic, Inc. resume writing team. Keep in mind what we just said about recruiters and hiring managers having a lot on their plate, and don’t subject them to a resume that rambles on for five or 10 pages. Nobody has time for an epic-length resume, and with very limited exceptions there is no reason for your resume to exceed a couple pages. Keeping it to one is even better, especially if you’re a relatively young jobseeker with less experience to convey. Multiple fonts? An array of colors? Tables? Pictures? Broken links? Any of these design elements can be distracting, and cause a recruiter to fear that your resume is more trouble than it’s worth. Side note: Your resume should be easy to read—and if one look at it overwhelms the recruiter, that may get it tossed aside. White space is your friend, and bullet points are imperative. 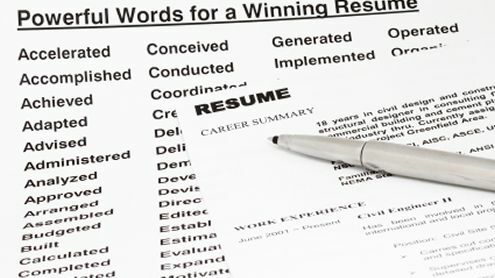 A good resume will include some choice keywords, particularly related to core competencies, that help it to register with resume-scanning software programs. If your resume doesn’t pass the software test, it may not be seen by a human reader at all. Keywords are critical. A strong resume will list specific accomplishments and measurable achievements, while a poor one will resort to empty superlatives. 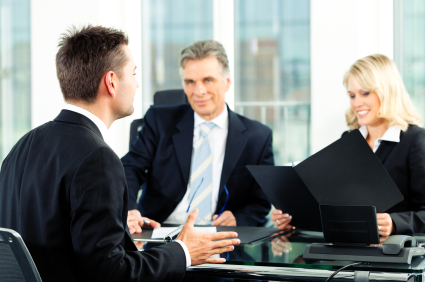 If all your resume does is declare you to be the BEST salesperson or a hard-working and driven professional, well, that can seem rather vague—and it can end up getting your resume tossed. Will Your Resume Get Read? Even a small tactical error can get your resume disqualified—but the Grammar Chic team knows how to construct resumes that get read, and then get interviews. We’d love to help you out. Reach out at 803-831-7444 or www.grammarchic.net. When it comes to finding a job, there’s no such thing as right or wrong. Maybe you found your job because you know a guy. Maybe you found your job through diligently crafting a resume, sending it to a hundred recruiters, and following up regularly. Or maybe you just lucked into it—right place, right time. What matters, of course, is the outcome. If you end up with a job that satisfies you—and that pays the bills—what does it matter how you got it? It doesn’t matter, not a whit—but with that said, there are some job search methods that tend to be worthwhile, and some that simply don’t. There are even some job search methods that remain weirdly popular, despite the fact that they’re really just wastes of your time and energy. Attending job fairs. You may have heard some wonderful, glowing reports from people who found their jobs via job fairs. And back in the day, job fairs really were pretty effective. That’s because you could go to a job fair, learn about different companies, and actually have a chance to meet with recruiters and interview for jobs on the spot. That sounds great, right? Well, yeah, it was. But job fairs don’t really work that way anymore. These days, when you go to a job fair, you’re going to meet an awful lot of nice recruiters who tell you to… visit the company website and apply there. So save yourself the trouble. Skip the fair and just do some online research on your own. Resume blasting. A resume blast service does exactly what it sounds like: It blasts your resume out to a couple hundred employers, taking a shotgun approach to the application process. But the way to win the attention of an employer isn’t with this scattershot approach. It’s with customizing your resume to fit the specific position—something resume blasting just doesn’t allow for. You’re better off sending out three customized resumes, with personalized cover letters, than blasting a general resume to 300 different companies. Really. Social media. No, wait! We very much believe in the importance of using social media to enhance your personal brand. In fact, Grammar Chic offers full LinkedIn optimization services, something we recommend to many jobseekers. But what we don’t buy is that very many people get their dream job by hounding a company on Twitter, or that you can interview for a job over LinkedIn messages. Social media is good, but it’s not that good. Don’t waste your time pursing an outcome that’s really just not very likely. And don’t waste your time job-searching without a solid resume. Get yours professionally crafted by contacting Grammar Chic today: www.grammarchic.net, or 803-831-7444. When you’re out of work for a long time, it can make it that much harder to jump back into the workforce. There are countless reasons why you might withdraw from the rat race for a while—maternity or paternity leave, health concerns, family needs, a stab at entrepreneurship—but ultimately, the reason doesn’t much matter. Reentering the work force is always going to prove challenging. So say that you haven’t had a job in a couple years, but now you’re ready to get back in the swing of things. What steps do you take? How do you ensure that you find a new job as quickly and as smoothly as possible? Get your LinkedIn profile up to date. First things first: Employers are going to know that you’ve been out of work, but you don’t want them to think that you’ve been out of the loop. Spend some time going into your LinkedIn page and fully optimizing it—providing some succinct yet precise information about your previous employment history and your different skillsets. Try reaching out to some old colleagues and co-workers to get some LinkedIn endorsements and recommendations. When you interview for a new position, you’re probably going to be asked why you’ve been out of the workforce. Spend some time thinking about what you’re going to say. Rehearse an answer so that you can respond without seeming flustered or defensive about it. Your goal may be to find work—nothing more and nothing less—but it’s probably best for you to have a slightly clearer career trajectory in mind. At the very least, come up with a couple of specific jobs or job titles that you want and focus on achieving them. Without goals, your job search will simply be aimless. Have encouragers in your life. Finding a job is always tough, not least when you haven’t had one in a while. You may start to feel desperate or frustrated—but if you let it show, that will only hurt your chances. Make sure you have some friends to build your confidence and remind you that you’re just as qualified and just as deserving as anyone. It’s amazing how quickly resume standards can change. An obviously out-of-date resume will cripple your prospects—so invest in yourself, and in your career. Call the Grammar Chic team and get an updated resume today. Reach us at 803-831-7444, or www.grammarchic.net.